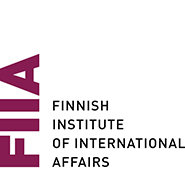 FIIA researchers have published 25 peer-reviewed academic articles in journals and scholarly books in 2018. The journals included Russian Politics, Geopolitics, Terrorism and Political Violence, Europe-Asia Studies, Journal for Deradicalization, Comparative Strategy and The International Spectator. The book chapters appeared in volumes published by e.g. Routledge, Taylor & Francis, Springer and Palgrave Macmillan.